All many of us may know about Hessen is that it was the home of the mercenaries that served the British during the American Revolution. 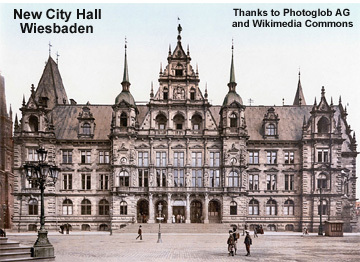 Hessen no longer needs to engage in this nefarious business inasmuch as it is the prosperous German state that surrounds Franfurt am Main, the major center of industry and conmmerce in Germany. Hessen not only has cities with illustrious historical pasts, but also picturesque vacation areas including famous spas. First, it's an easy place to get to, since Frankfurt is the no.1 airport of Europe. There are more than a dozen highly inviting Tourist Regions. 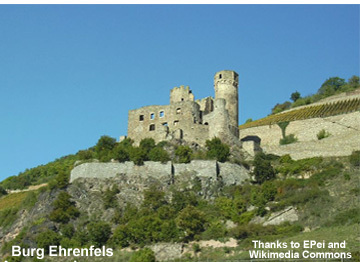 These include the romantic Rhine resort of Rűdesheim and the tourist mecca of Wiesbaden. Hessen is divided into the three districts of Darmstadt, Gießen and Kassel. Each has a number of subdivisions called Kreise (counties). Our hotel listings are on the county level. The county locations are shown on the various maps. 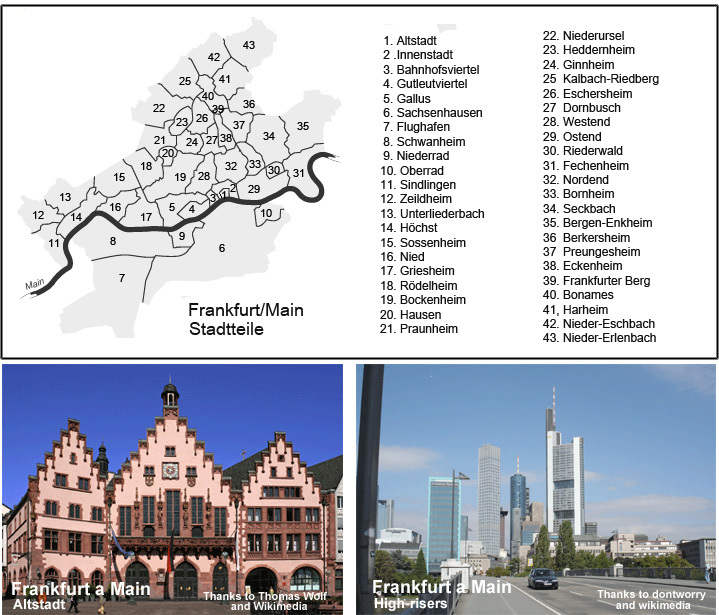 Frankfurt am Main is the commercial and industrial center of Germany. Its Metro population esceeds 5 million. It has an alpha rating in the ranking of global cities and is also among the top locations in terms of quality of life. Its airport is number one in Europe. The Altstadt is a tourist mecca par excellence. The Museumsufer is a string of eleven museums along the south side of the Main river and two on the north side. One of these is the Jewish Museum which documents the rocky history of the city's Jewish community back to the 12th century. The Museum Embankment-Card provides free admission to many museums. The Frankfurt Radio Symphony Orchestra is one of the top European orchestras. The Oper Frankfurt was voted the best opera house in Germany.